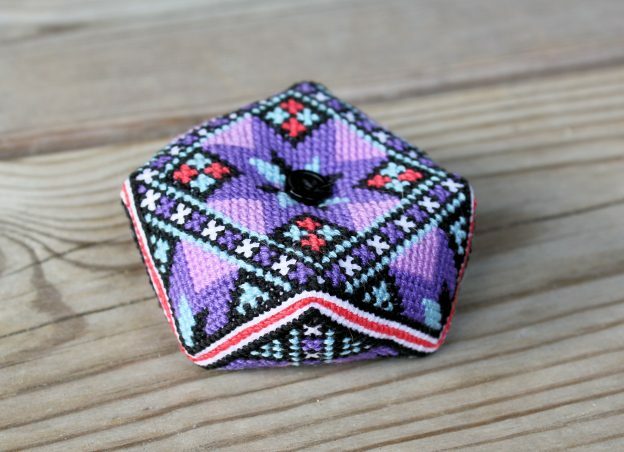 My second pincushion in biscornu form is in beautiful shades of purple. Fun fact: My favourite colour is actually purple. When I came across the original pattern which had been used as a breastcloth (bringeduk), or breastplate if you like, it’s alignement was slightly off and things just didnt not seem to add up in the repetitive pattern it’s supposed to have. That was the first thing I fixed. I kept all the original colours as I thought they were quite beautiful already and needed “no fixing”. I dare even suggest that they are bold enough to almost make it appear like a modern piece of embroidery rather than a 50 year old one. It’s size is just between the previous large and small at just 45×45 squares. It was a bit fiddly at times, but I got there in the end. 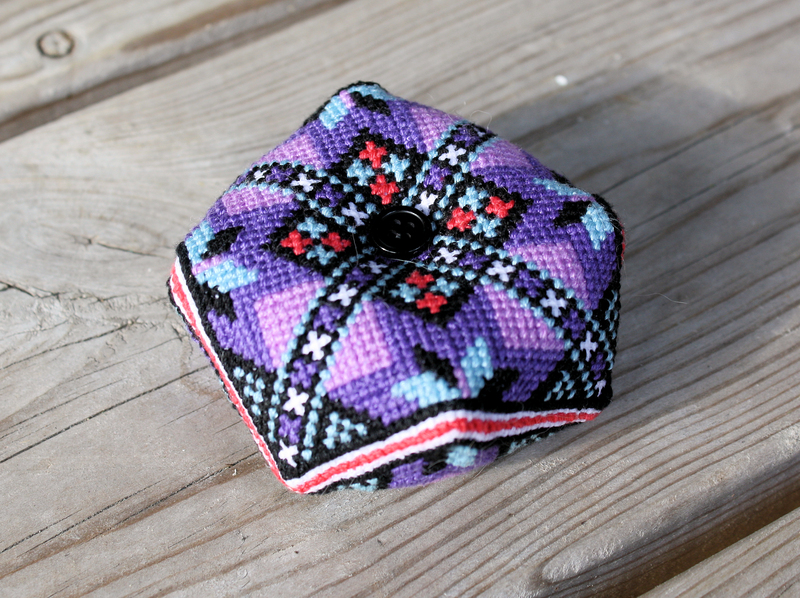 If you like this pattern and would like to buy it, please visit my shop here. The basic biscornu shape is easily obtained, you can read the tutorial on how to get it here. This entry was posted in Shop and tagged norwegian, shop on 9. July 2018 by Elise.